How to support efficiently Tunisian CSOs in helping them spread democratic culture and position themselves as pivotal players for political reform in Tunisia? This question can only be answered by undertaking a study of the situation of CSOs in Tunisia, highlighting the specific needs for capacity building in terms of their involvement in the process of reform and democracy, as well as by offering recommendations for possible fields of action that could be targeted for future cooperation programs. 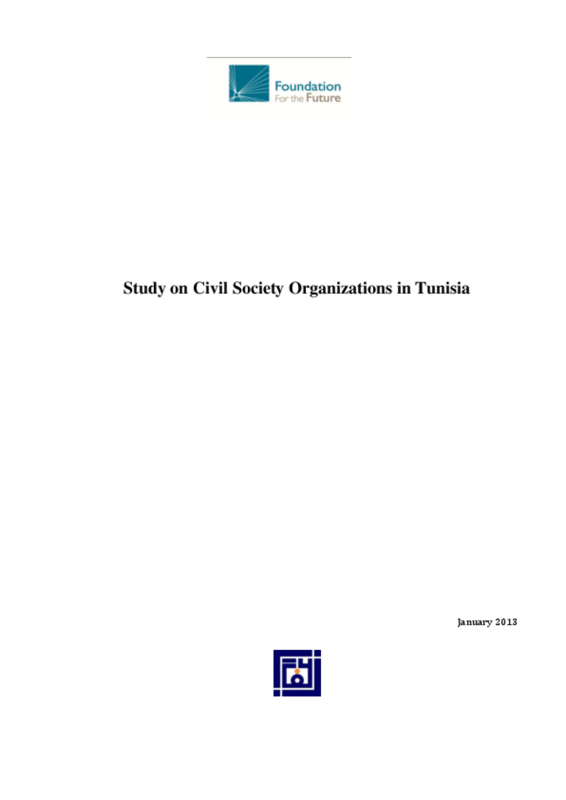 This study consists of: i) a mapping of the existing CSOs and their areas of activity, ii) a study of their current and potential contribution to sustainable development, through a strengthened political dialogue at all levels, iii) a study of the challenges and needs to identify for better capacity building, as well as possible solutions to achieve this. Copyright 2013 Foundation for the Future.